I have been impressed throughout with the background knowledge and impartial advice offered, on a property with some serious problems. I've exchanged contracts knowing just what I've let myself in for! This is an excellent local business. Great value, professional, and understanding!? 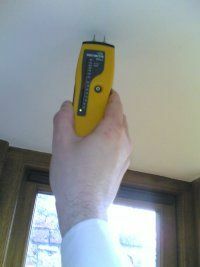 [the surveyor] from Yorkshire Surveyors carried out our survey. Our main concern was that we gave him very little notice and needed the survey doing quickly. He carried out the survey on an evening to help us out. We paid a very reasonable rate for our survey and the report we received detailed everything I wanted to know. Overall an excellent service and would definitely recommend him / YS to anyone who asked! Quoted me £100 less than other Chartered Surveyors in Halifax wanted for the Home Buyer Report, and produced a clear and detailed report in less than 4 days from when I rang. 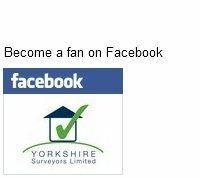 Yorkshire Surveyors delivered a detailed and useful condition report within a couple of days of instruction, at a very reasonable price. I have no hesitation in recommending them. Our Chartered Surveyors in Huddersfield and Halifax are commited to providing you with the report you require. We will establish your requirements with you prior to inspection and take the time to discuss the findings with you after the inspection. Every dwelling is different, but as a rule of thumb, our Chartered Surveyors in Halifax and Huddersfield will require around an hour and a half to inspect a property for a general condition survey or a HomeBuyer's Report, and up to three hours for a Building Survey on an average sized property. No customer appoints a surveyor wanting their purchase to be derailed by an unhelpful survey report, and our Chartered Surveyors in West Yorkshire will give constructive advice and economical solutions to any issues that are uncovered during the inspection. Our Huddersfield Surveyors and Halifax Surveyors are dedicated to providing assistance that enables sales to proceed without disappointiment. We will support you and inform you how to resolve problems or how to plan for the future investment in maintenance that will protect your dream home from falling into disrepair.